Hosted by David Day, this television program aired statewide in Hawaii and features, as its special guest, Ms. Nicole Finneman, formerly with the Korea Economic Institute in Washington, D.C. Ms. Finneman, an American eyewitness inside North Korea’s Yongbyon nuclear facility and other fascinating facilities and locations throughout the country, talks about those experiences. The conversation turns from the Yongbyon visit to the potential business and commerce development in North Korea and references American firms now lining up to do business in North Korea in the future, including the Korean-American-owned, Pyongyang University of Science and Technology (a private university). 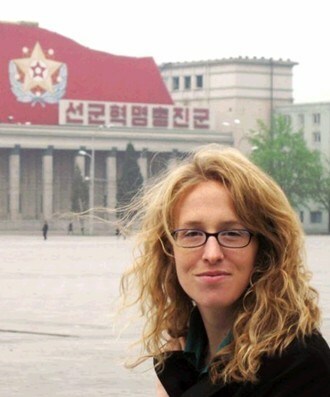 Nicole also discusses her visit to the digital libraries at Kim Il Sung University and their remarkable high tech facilities which many universities in the U.S. currently do not have…but only connected to an intranet–no internet. Finally, Ms. Finneman and David Day talk about the infrastructure for commerce and foreign investment that is now being put into place in North Korea and her crystal-ball view of the potential for change in that country.